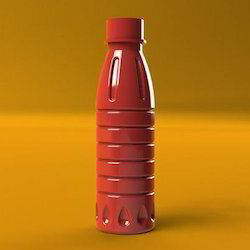 We have for our clients a comprehensive Red Edible Oil Bottle at very reasonable price. Offered product is precisely made and available in several customized option. We are the manufacturer of Bottle Preforms - Edible-oils. Sunpet is the leading manufacturer of the globally engineered and time tested standard of CTC packing for the Indian edible oil industry. Due to rich industry skill and practice of this area, we are offering Edible Oil Bottle. These are made using the best quality material and advanced techniques.